HANNOVER MESSE – the world’s leading trade show for industrial technology – will take place on April 23-27 2018. As a partner at IBM booth, Actano Group will present its “Business Project Platform as a Service”. Interactive showcases give you the opportunity to experience shared reality in projects and our innovative software solutions. 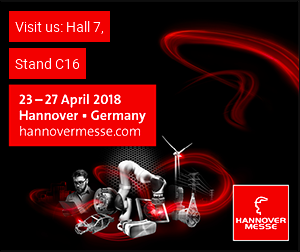 Visit us at HANNOVER MESSE 2018 at IBM booth, hall 7 – booth C16. You can request a free ticket now and set up a meeting with us. Contact us at +49 89 2060 44 100 and we will prepare a meeting for you individually. We look forward to an exciting exchange! Further information about the event can be found here.